Markus Babbel fears for Niko Kovac's future at struggling Bayern Munich because of the internal pressure from bosses Uli Hoeness and Karl-Heinz Rummenigge, while the former defender strongly questioned the attitude and desire of the squad. Bundesliga champions Bayern made a flawless start to the season but Kovac's position as head coach is now under scrutiny amid the club's four-match winless run. Bayern were comprehensively swept aside 3-0 at home to Borussia Monchengladbach prior to the international break – a second successive Bundesliga defeat – to leave the German giants languishing in sixth position, four points behind high-flying leaders Borussia Dortmund. 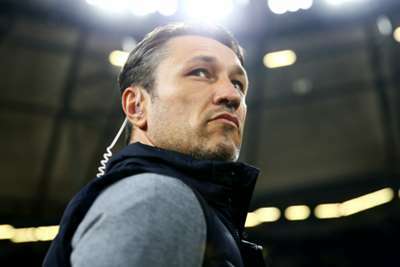 Kovac only arrived from Eintracht Frankfurt in the off-season as a replacement for Jupp Heynckes but his position has already come into question ahead of Bayern's trip to Wolfsburg on Saturday. Bayern president Hoeness has already vowed to defend Kovac "until the end", however, Babbel – who won three Bundesliga titles and nine trophies in total during his second spell in Bavaria before joining Liverpool in 2000 – insists the pressure is mounting on the embattled 47-year-old. "The problem is if you work in a club like Bayern, not only the press will put pressure but within the club too," Babbel said in an interview with Omnisport. "I know from my time there. Nothing changed. "Players can go to Hoeness or Rummenigge. Then you as a coach you have no chance because they're crying here and there. This is the biggest problem. You have two big men in the office. If they don't support you, you have no chance." "For me, it is not normal. You can't start with seven wins then play a draw against Augsburg," Babbel said. "They had chances to win the match but Manuel Neuer made a mistake. From there, everything has gone the wrong way. "It's very strange. I don't know what's happened. I know the coach is good, the players are good. If they are fine together, they will bounce back and win games." Former Bayern captain Lothar Matthaus has been critical of the team's underperforming stars, with James Rodriguez and Robert Lewandowski in the firing line. Babbel – now head coach of Western Sydney Wanderers in Australia – suggested Bayern's ageing squad may have stagnated as he applauded the continued motivation of Juventus superstar Cristiano Ronaldo. "Problems not only at Bayern but Manchester United. Players aren't recognising who they are playing for anymore. The privilege to play for a club like this. How much money they earn. They're not performing and giving everything. They're not top professionals," he added. "From the outside, maybe the team is a bit too old. They've been playing together for a long time. I watched them last season live and they didn't look hungry anymore... Too many players at Munich have stayed for too long. There's not much fresh air in the team. It's always the same. Maybe this is one of the reasons things aren't working."